Borderlands 1 PlayStation 3 Multiplayer Functionality Restored! 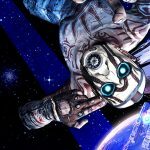 Ever since the GameSpy multiplayer services that powered Borderlands 1 were interrupted, we've been working to restore multiplayer functionality to Borderlands 1 on PlayStation 3. Now, we're happy to announce that multiplayer will be restored to Borderlands 1 on PS3 today in both North America and Europe (and Japan is coming soon!). Note that if your save was previously stored in the cloud instead of on your PlayStation 3 hard drive, some settings such as screen brightness, Y-Axis invert, etc. may need to be reset. If you have any trouble, visit http://support.gearbox.com. Thanks to everyone for your patience as we worked to find a solution, and special thanks to the folks at 22nd Century Toys for helping to make this happen! In case you missed it, this update follows an earlier update that restored multiplayer for Borderlands 1 on PC.